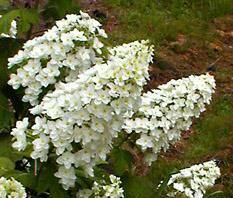 The Oakleaf hydrangea is a dramatic, white-blooming shrub with four seasons of interest. It blooms best in areas where summers are somewhat hot. A tremendous advantage of the Oakleaf is that it can thrive in much dryer locations than its cousins. The Oakleaf gets its name from the shape of its beautiful large leaves. These leaves often turn colors of brilliant red, orange, yellow and burgundy in the fall if planted in a sunny location with a little afternoon shade. 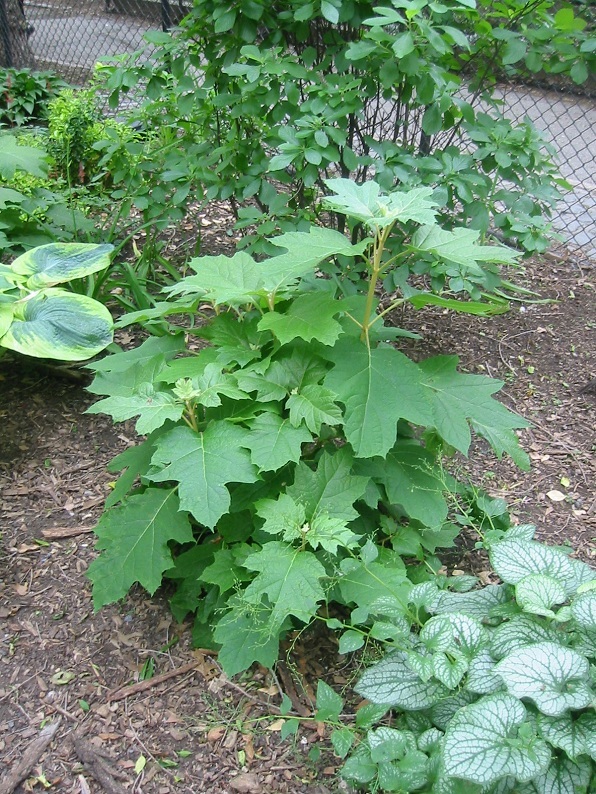 It can be expected to bloom from late summer to early fall. Until then, here’s a stock photo of what we can expect.